Two groups of young Girl Scouts wearing bright lime-green safety vests were picking up trash along both sides of County Road P in western Wisconsin's Chippewa County Saturday morning when they were suddenly struck by a black pickup truck. The fourth-grade Girl Scouts adopted the road and volunteered to perform community service such as picking up trash along the route. The rural road stretches through farmland with sporadic residential areas, and the Girl Scouts had picked up trash along the road before. Without any warning, a black pickup came speeding into the shallow ditch along the side of the road where the girls were picking up trash in their bright green safety vests. The truck' driver didn't stop after striking and killing two of the young girls including a chaperone who lay dead on the roadside. Two of the girls were taken by ambulance and helicopter to a hospital. A fourth victim died there late Saturday. One girl who was struck by the speeding pickup remains hospitalized and in critical condition in Rochester. The driver of the truck later turned himself in and was identified as 21-year-old Colten Treu of Chippewa Falls, according to Sgt. Daniel Sokup of the Lake Hallie Police Department. Treu is expected to face four counts of homicide through the negligent use of a vehicle and is being held in Chippewa County jail, according to Sokup. Police say the scene of the crash is before a hill and no blind spot might explain the tragedy. It is unclear if the victims were intentionally hit or if Treu was just not paying attention and swerved off the road. Social media tributes were posted online to honor Troop 3055. The Girl Scouts of the Northwestern Great Lakes announced the tragic news on Facebook. 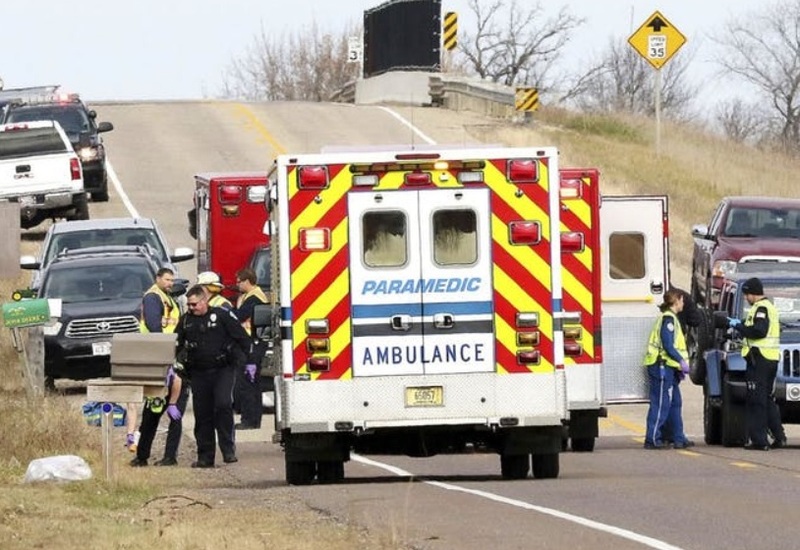 A nearby neighbor who lives near the crash site said he remembers seeing a group of about 10 Girl Scouts walking along the roadway wearing their vests around 11:00 a.m. A short time later, "All hell broke loose," he said. Although he did not want to be identified, the man said, "It’s dangerous. People come flying over the hill." Another nearby resident said she is always seeing drivers speed through the stretch of roadway where the girls were struck. "I'm always telling one of my residents that he shouldn’t walk this strip at night," she said. "It's not safe." A vigil for the victims is scheduled to be held at 6 p.m. Sunday at Halmstad Elementary School. Nothing much to say about the driver given the limited details on HOW and WHY it happened. At this point I am leaning towards likely not being deliberate, but a speed and attention issue by a younger driver. I feel for all the victims. What is going on in that area of WI? Chippewa Falls is not that far from the area where Jayme Closs’s parents were found dead and still no sign of Jayme. Now a few weeks in the 24/7 searches are being scaled back. I fear 13 yo Jayme Closs is in the same place as these poor souls that were taken from us violently and way too soon. Such a sad month in some of WI’s most beautiful scenic areas. The driver took off, this was no accident. Multiple fatality hit & run felony.